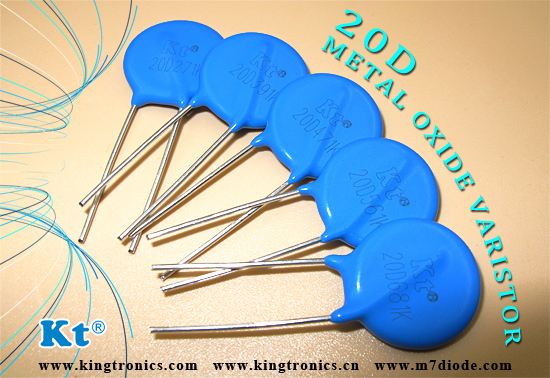 A metal oxide varistor(MOV) XKT20D is a device used as a component in electrical equipment. The device will conduct low amounts of electric current very well, but will stop conducting when the current reaches high voltage levels. 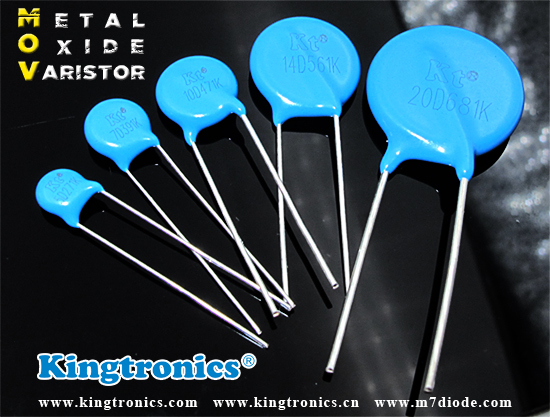 This property of the metal oxide varistor makes it ideal for use in electrical surge protectors. It is our commitment to offer our customers the best quality products with fast delivery and the best after sales services. Welcome send to me your RFQ, let me quote and prepare samples for you to approve. 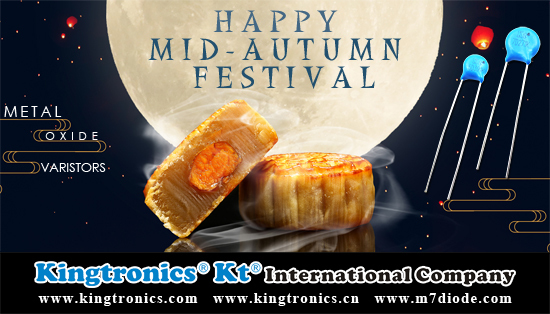 Each years, Kingtronics will be investing funds in research and development of new products. 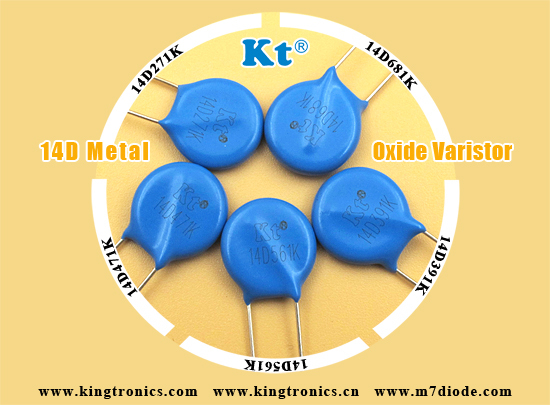 XKT14D is one of important products of this quarter. Application for surge protection in consumer electronic equipment, surge protection in communication, measuring, or controller electronics and relay or electromagnetic valve surge absorption. From the quality, we can say our XKT14D can confidently compete with oversea famous brands without a shame. From the price, you will be very much satisfied with them, please send your inquiry to us now. 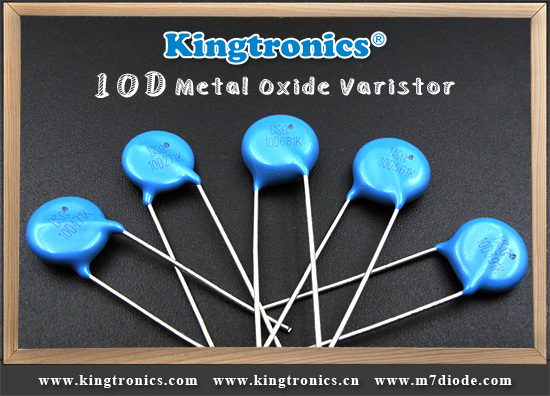 A more recent innovation to the Kingtronics product line, XKT10D has high current handling, high energy absorption capability and fast response times to protect against transient faults up to rated limits. As Christmas is coming, Kingtronics prepares discounts and deals for Christmas, business hot at this moment! Off course, we offer much more better prices for XKT10D, welcome send your request and ask for detail prices. 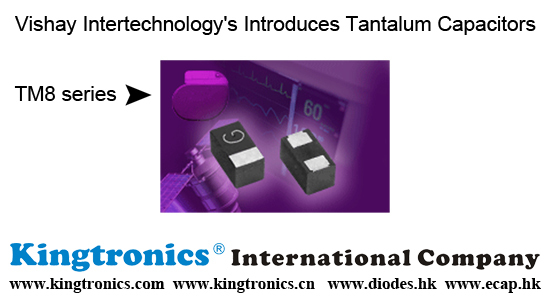 Vishay Intertechnology introduced the new TM8 series of high-reliability, surface-mount tantalum capacitors with very low DC leakage current down to 200 nA. According to a release, the TM8 series offers a range of capacitance-voltage ratings from 1 microfarad / 40 V to 47 microfarads / 10 V in seven compact case sizes. The capacitors are well suited for long-term performance in critical applications including implantable medical devices, medical instrumentation, and military/aerospace systems. Special screening and custom application-specific options are also available. The devices released are optimized for filtering, coupling/decoupling, DC blocking, and energy storage applications in medical devices such as pacemakers, ICD, neurological stimulators, hearing aids, and cochlear implants; medical instrumentation including patient monitoring equipment, automated drug administration systems, and imaging and diagnostic equipment; and military and aerospace hybrid microcircuit/multichip modules, smart munitions, GPS systems, sensors, and handheld portable electronic systems. The RoHS-compliant devices feature an operating temperature of - 55 to + 85 deg. C, + 125 deg. C with voltage derating, over a voltage range of 2 WVDC to 40 WVDC.